For every letter of the week, I would plan for some hands-on activities to go with it. 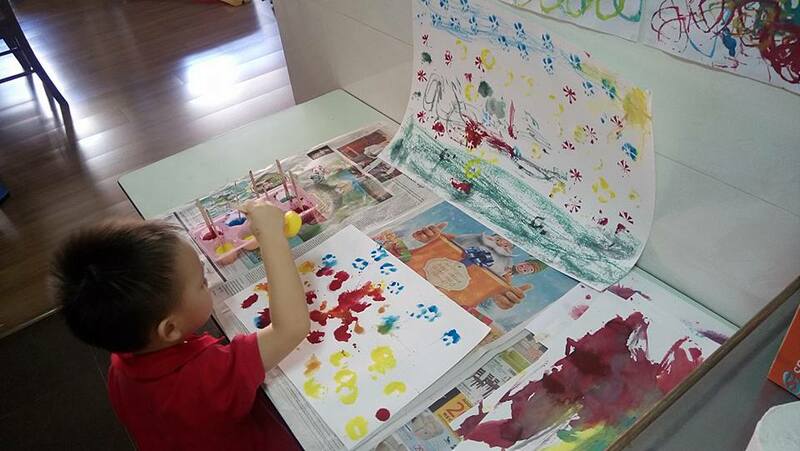 I believe children learn best through play and as they engage their senses. As the saying goes,"Tell me and I will forget. Show me and I will remember. Involve me and I will learn." To start painting with the coloured ice, I removed the cling wrap and waited for a few minutes for the ice to thaw a bit. Doing so makes it easier to remove the ice from the tray. Remember to cover your working place with newspaper to protect the surface and contain the mess. When you can easily remove the ice sticks the fun can begin! 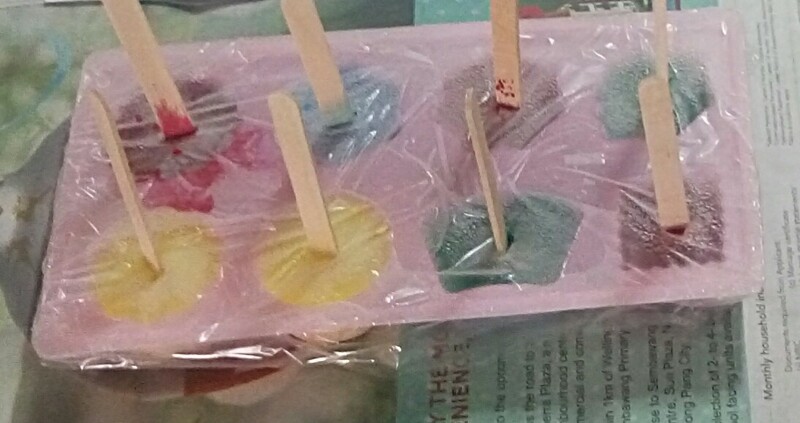 As I had frozen the coloured water in a jelly tray instead of a regular ice cube tray, David was able to stamp some nice prints on the paper first before gliding the ice across the paper. The photo above was his first piece of work. It is my favourite piece as the ice had just started to thaw and the prints that he stamped were thus more defined in outline. 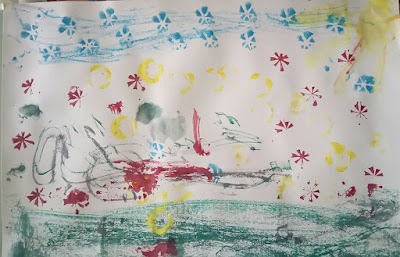 He glided the top with blue ice for sky and the bottom with green ice for grass. When the ice thawed further, he started his second piece of work, this time gliding different colours randomly across the paper. As the ice had already melted quite substantially, the prints he made the second time round were not as defined. Nevertheless his work was still pleasant for me to behold! 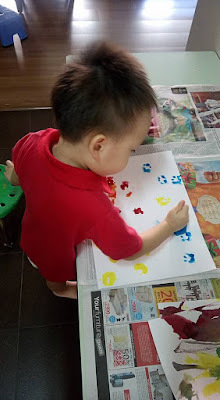 David had great fun creating pictures with coloured ice in this letter of the week activity. I would encourage anyone with young children to have a go at it too!